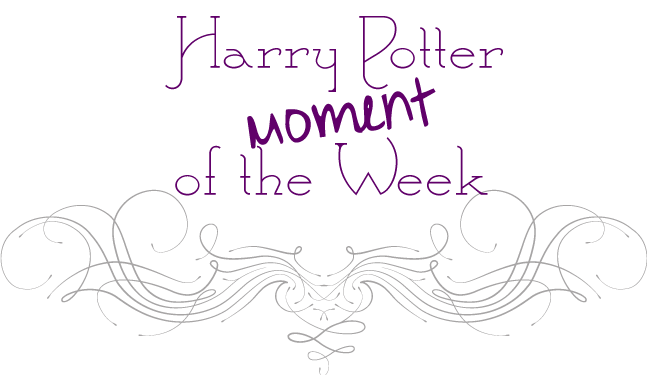 This is a meme hosted by Uncorked Thoughts and Lunar Rainbows.The idea is to share a favorite moment, magical item, character, spell, quote, object from the books, films or J.K.Rowling herself! Click the links to the blogs to see how to join up & upcoming topics. Announcing Harry Potter Month in July!! Learn more. I'll be posting having a few Potter related posts throughout the month in addition to my usual Harry Potter Moment of the Week posts. If I went to Hogwarts, who would my boyfriend be? First things first, the Weasleys are my favorite family at Hogwarts so it would most likely be one of them. Percy is far too stuffy and has familial-loyalty issues. Ron has so much going on with Harry and Hermione all the time. Plus, it's obvious he's got it bad for Hermione. Bill and Charlie aren't at school. It would have to be George. I like that he's hilarious and exceptionally smart. I LOVE to laugh :D That's why I went with him. Right! I would want to be a part of that family for sure. I feel like Charlie would've been a great choice too if we could've see more of him. I'd be so scared for him though out with dragons all the time!! Haha!! I love that you almost went with him as well. Your pick was fantastic though as someone not in the thick of it all, but he still helped out in the Battle at Hogwarts. oh this is HARD. I think I'm going to say Ron and I don't even know why! lol...he's just got something about him! Aw, can we keep sirius alive? Definitely!! He's a fantastic choice. I love comments and read every one of them! Since they are an award in themselves, this is an award-free blog. Thank you though for the consideration! Share book reviews and ratings with Jaclyn, and even join a book club on Goodreads. All reviews are copyrighted by JC's Book Haven. Authors reposting parts of reviews, please credit. Awesome Inc. theme. Powered by Blogger. Jaclyn Canada is a participant in the Amazon Services LLC Associates Program, an affiliate advertising program designed to provide a means for sites to earn advertising fees by advertising and linking to Amazon.com.